Ensure everything works seamlessly with a fully integrated home network. With a modern home network, you can connect all your devices at the same time without any problems, allowing everything to run smoothly, effectively, and consistently. We live in an electronic world now, and our homes are a part of that. From Netflix to Facebook, we are constantly downloading an incredible amount of information, and if there’s 4 or 5 people in a home, things can get confused. Designer AV can install and configure Control4’s Pakedge Networking System for all your devices, with the option of adding more as time goes by. Whether you are streaming a movie in one room, playing X-box in another, or Skyping with work from your office, everything runs smoothly and seamlessly with a Control4 state-of-the-art home network at the heart of it all. 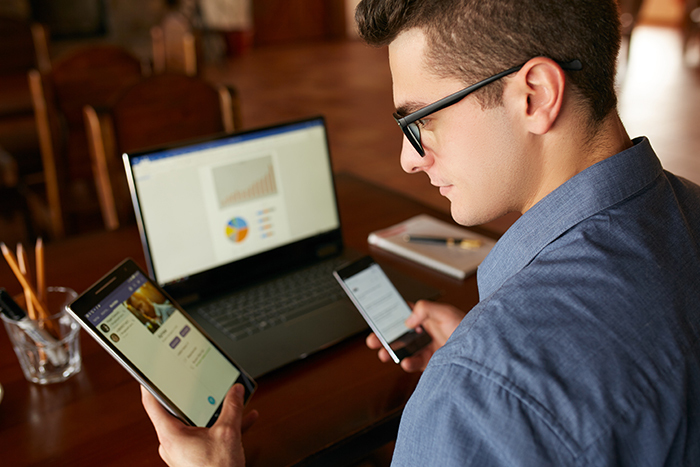 A home network also allows you to connect all your devices together, so you can add to the family shopping list, play music from another device, or watch two things simultaneously in different rooms. We provide full internal enterprise grade network gear for the entire house designed specifically for a modern smart home. From cameras, intercoms, movies or music, our fully integrated network ensures seamless Wifi coverage over the entire home.